Despite everything you might read about the French economy, 2014 has seen a return to business as normal for the French property market, certainly in this part of the Midi-Pyrénées. 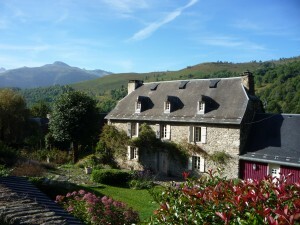 Here the number of transactions (according to the latest Notaires’ French property market report) are up by 12% so far this year, with property prices in the Ariege up by 2.2%. Agents are reporting a large increase in both enquiries and buyers and Notaires are drowning in paperwork (but then that’s nothing new; the idea of a paperless office is a complete anathema to French Notaires). The market has not in fact been static here as it has in Spain, there has been a steady, if slow, movement of properties but it has certainly lacked fluidity. That has now changed; there are both new sellers and new buyers in the market and prices are steady and realistic. 1. Don’t expect or keep waiting for prices to drop further; they are on the level and beginning to increase in the most popular areas. 2. Mortgage rates are at a historic low and the Euro is weak so if you have been waiting for the perfect time to invest, I would suggest that this might be it. 3. Look for quality and be prepared to pay a premium for it – it is always worth it long term. 4. Do not hesitate to make an offer – sellers are far more prepared to negotiate than they were a few years ago and there are plenty of urgent sales out there (divorce, relocation, death etc). 5. Location is still key whatever the market is doing. Any questions, please feel free to get in touch and I will do my very best to answer them.